About a year before I graduated from college, I had a burning desire to look for a job that would let me travel and see the world while working. This would mean I get paid to travel! Well, while things did not exactly go as I expected, the cost of traveling the world is reasonable, and it would take me just a couple of years saving before I could afford to travel around the world. One thing that makes this possible is credit card rewards. My parents got to go to Europe and Asia when they redeemed cumulatively $30,000 in credit card points and miles just last year. Somehow, I am working hard towards a similar reward myself. Very many people today know about credit card rewards but a majority know very little besides the fact that it is used by credit card companies to entice new clients and to give something back to loyal customers. If you are out shopping for a credit card, is the value of reward points something worth looking at during credit card comparison? The answer is an obvious YES, with a ‘but’. Comparing and valuing rewards offered by credit cards is more complex than you imagine, especially if you are a thorough person who looks at the details. The two most important factors to consider are the card’s earning rate and the point’s redemption rate. The earning rate is basically the number of points (or value in dollars) you get when you use your card to make a certain amount of payment. For instance, making a payment of $1000 could give you 10 points. The redemption points are the value of each point in USD e.g. 0.1 for every 10 points. You should also know that credit card reward points are completely different from rewards in other industries, Airline miles being a good example. Many people often confuse the two and may make a decision on what credit cards to go for based on what airlines deem important in calculating their rewards. Are credit card reward points useful to you? · You are an avid adventure seeker or travel often for business, or just love to see the world. · Your schedule has many open vacation days that allows you to travel up to twice or thrice a year. · You are an organized person who keeps track of deadlines and credit card offers. · You are a disciplined person who pays his/her credit card bills in full and in time. · You are patient to wait for your credit card points to amass before redemption. · You meet minimum credit card spending requirements easily. · Your credit score is excellent and you are free of credit card or consumer debt. · You do not like to travel. · You do not have a lot of free time outside of work or life schedule. · Your credit card debt and credit score have taken a beating in the recent past. · You do not trouble yourself with keeping track of deadlines and offers. · You do not meet the minimum spending requirement on most reward cards. Most credit card comparison and reviews on the internet do not overlook the importance of credit card reward points as an important factor for people looking to get one should compare. There are many laid-down methodologies that give a score based on earning and redemption rates to determine which cards offer the most value for an average credit card user or American household. Note, however, that most of these comparisons may not provide an accurate redemption value in dollars because the rate fluctuates throughout the year. 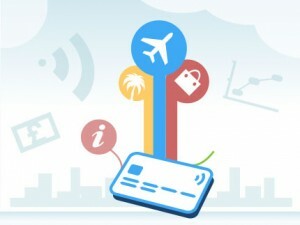 While reward points traditionally benefit those who travel the most, many financial companies offer ways for users to redeem their reward points without necessarily getting travel packages. If you are looking for the perfect credit card, it is good to look at other features including the Annual Percentage Rate (APR), the cost of keeping the card (fees and penalties), credit limit, quality of customer service, and balance computation method. Cards that offer travel credit and cash back are by far the easiest to work with if the bonuses mean a lot to you. With such type of cards, you enjoy the flexibility and freedom to redeem your credit card points for hotel stays, gifts, train tickets, or flight tickets. The bottom line is, if you love to travel and want to get the most out of your card usage for the adventures, then the rewards are an important credit card feature to look at when selecting the card that suits all your needs. It all comes down to what your goals are and whether your card of choice can help you get there.